Let’s talk about my thriller novels Brainstorm, Jezebel and Dead Reckoning as well as possible sequels. Sequels–brief treatments of other thrillers to come? BRAINSTORM: Just before I started Knight’s Ransom, the first book of “The E Z Knight Reports” series, I was nearly halfway through a sequel for Brainstorm, I called The Master Plan. It features Daniel McMaster from Brainstorm and has a number of recurring characters including Sunny McMaster and Major “Jax” Jackson. In this sequel, while Sunny and children are attacked in a home invasion in California, Daniel is on the run from authorities in NYC with the US President’s young daughter, after an assassination attempt on the President. Our hero ends up in the Yucatan, exploring a huge and deep cenote (sink hole), in an effort to stop the annihilation of the human race. It’s a complex novel, involving an incredible amount of research on a number of levels. 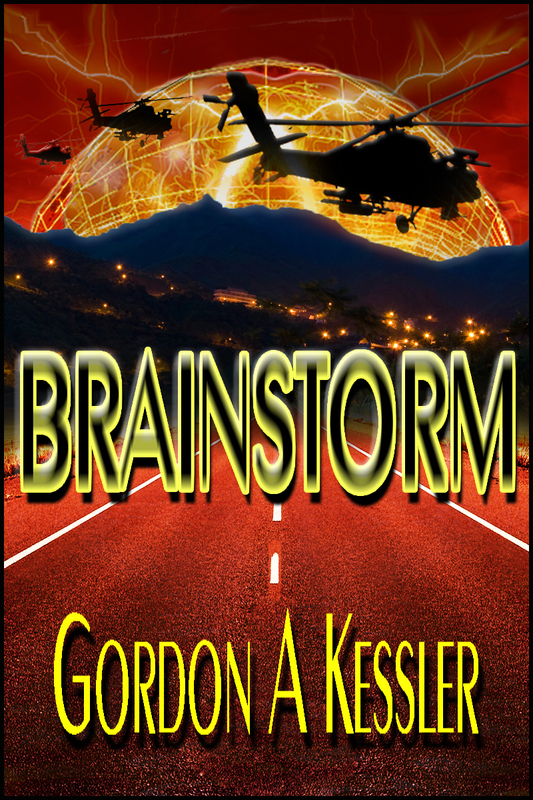 If you’ve read Brainstorm, what do you think? 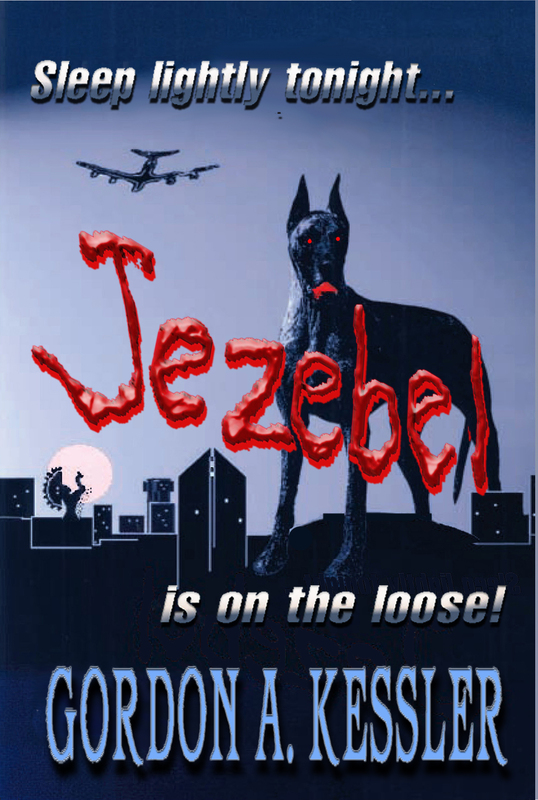 JEZEBEL: I’ve mulled this one over for some time, and I’ve actually written a chapter or two. This sequel, tentatively called Hidden, would bring back Tony Parker and team him up with Satan, the son of the huge, black Great Dane Jezebel. After a dozen joggers go missing along wooded bike trails in the Kansas City Metro Area, Detective Rachel Sanders (Sarah Hill’s older sister from Jezebel), calls in veterinary researcher Dr. Tony Parker to help her unravel the case. She thinks Tony might be able to track down a huge, furry creature that’s been sighted by a number of bikers and joggers. Parker goes to work with Satan to find this elusive creature or debunk the rumors, and discover what’s happened to the missing citizens. This one has so many twists and turns, you’ll need a chiropractor before you’re finished, and I guarantee you’ll never see coming the big twist at the end! What do you think–get back to work on this one? 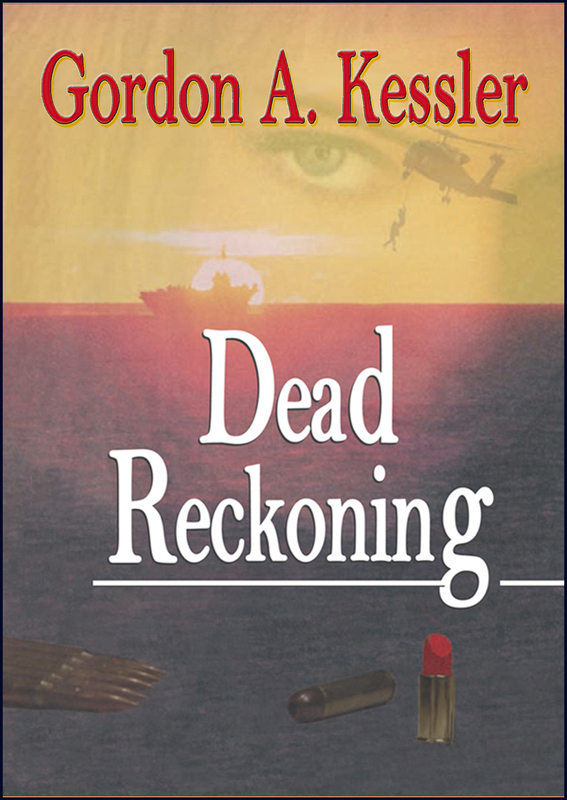 DEAD RECKONING: For this sequel, The Storrega Effect, Lt. Darrin North (Hunter) is back with a new girlfriend–but this lovely and innocent young woman comes with a whole bunch of surprising baggage. And with Dare’s own past coming back to haunt him, it makes for a wild romp across Europe, the North Atlantic and the American Midwest. Along the way, Dare runs into a “blast from the past”–guess who: Spurs! This one starts out with a boom, immediately takes several twists, and splits into two deadly storylines going in opposite directions. At the end, it all comes together for a very explosive finale. If you liked Dead Reckoning, I guarantee you’ll love The Storrega Effect. To write or not to write, that is my question to you? BRAINSTORM: Do you know who you really are? DEAD RECKONING: Stand by for heavy rolls! We’re coming about and heading into the storm!